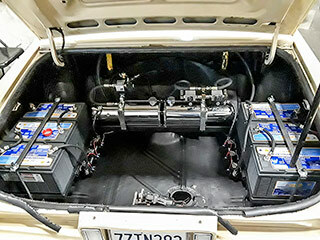 RS Hydraulics specializes in the design & installation of hydraulic & Air-Ride suspension systems however, from complete, custom designed builds & installations to light repairs & upgrades RS Hydraulics can accomodate nearly any project for nearly any vehicle. Our staff has decades of experience in everything from oil changes to full, frame-off restoration projects & everything in between. 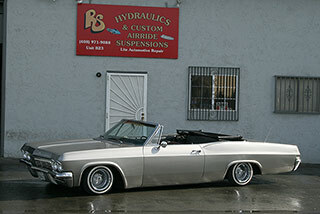 Our shop is equiped to build & install custom hydraulic suspension systems for nearly any vehicle. 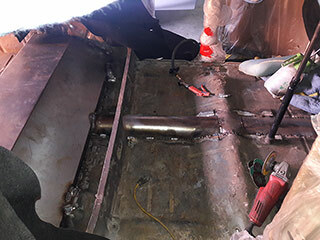 We will work with you to choose the appropriate parts & equipment from leading suppliers to fit your needs & budget & to design the best possible system for your vehicle. 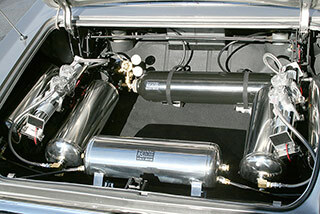 Sometimes known simply as "Air Bags", Air-Ride suspension is a popular and often better alternative to hydraulic suspension systems. Our shop is equiped to build & install custom air-ride suspension for nearly any vehicle, classic, modern, domestic, import, car or pick-up. 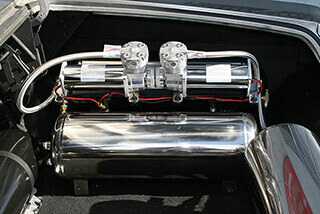 RS Hydraulics includes custom fabrication services with any install or modification. 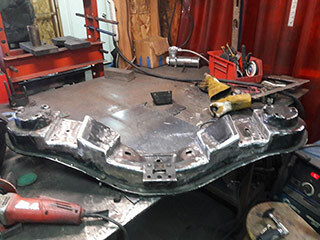 While some amount of custom fabrication is needed for most custom installations our fabrication services go beyond just that. RS holds multiple patents for custom parts & equipment & we pride ourselves on the ability to design solutions for any project. 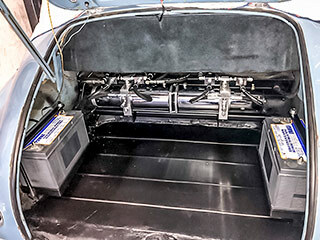 Each vehicle requires special attention to install & mount the new suspension system. The custom parts we create can be painted, plated & even etched to match the surrounding equipment. RS can fabricate structural, functional & decorative elements for virtually any situation. 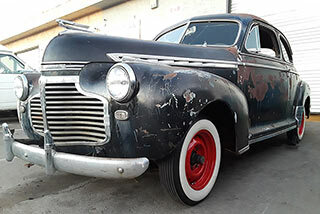 If you're building a custom car or truck, a lowrider or even a lowrider bike or cruiser custom fabrication in steel & aluminum will most likely be part of the job. 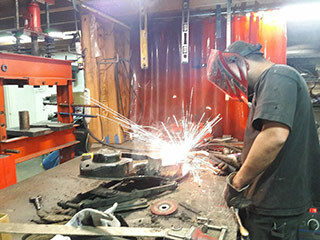 The RS staff has many years of experience in creating custom fabricated solutions to fit nearly any budget. 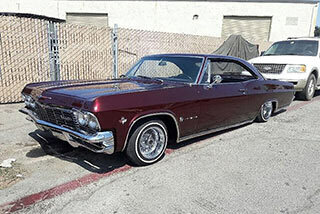 RS Hydraulics provides lowering services & suspension repair for a wide variety of makes & models of cars & trucks. Contact us for information on lowering & suspension options that don't include the installation of hydraulic or air-ride suspension systems. 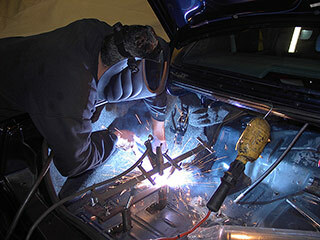 As part of our customization & restoration services our shop also provides basic automotive repair services. 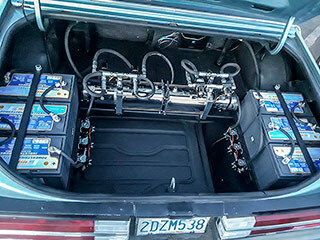 Even if you're not having a full installation or restoration done with us please feel free to inquire about light auto services such as: oil changes, tune ups, brakes, struts & springs or fluid services. 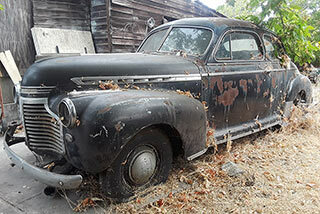 Our staff has made car classic culture & lowriding a central part of our lives for decades. 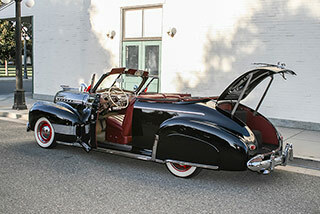 The tradition of extensive, full restorations & customizations of rare & classic vehicles is a serious passion of ours. 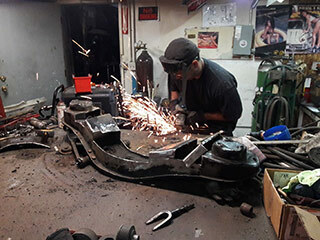 We've done a number of complete restorations & project cars ourselves & our shop has had the honor of playing a big part in hundreds of major restoration projects. 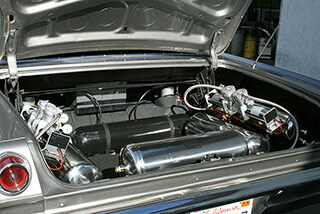 From engines to paint to tracking down rare, original parts RS is happy to consult on any & all aspects of your project. 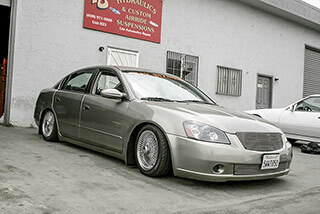 Your one-stop-shop in the bay area for hydraulic & air-ride suspension.